People in the San Francisco Bay Area continue to show a growing interest in visiting China and exploring the country's culture, history, natural wonders and lifestyle, say US tour operators. At the just-concluded annual Bay Area Travel and Adventure Show in Santa Clara, California, many visitors stopped at the booth of Alex Wang, a travel agency owner. They took brochures or asked him questions about the travel itineraries the company provided. "We have attended the show for several years to promote our travel products. There's an increasing interest from Americans, including Chinese-Americans in the Bay Area," says Wang, president of Chinatour.com, a Southern California-based tour operator. In front of a big picture of Beijing's Temple of Heaven, Wang handed out thousands of brochures and flyers at the recent two-day exhibition. "We provide both high-end luxury tours and budget tours for young people," he says. "Customers who are retired tend to choose long-haul tours, such as our Yangtze River cruise, which is very popular. 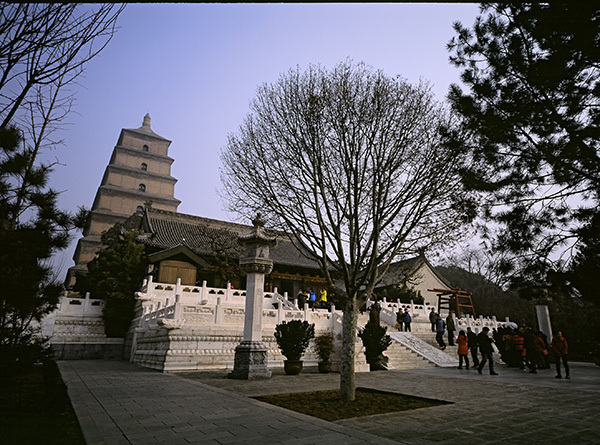 Young people are usually attracted to short tours, such as weeklong visits to Beijing, Shanghai and Xi'an." The event was projected to attract between 8,000 and 9,000 people this year, according to the organizer. The booths of the China National Tourist Office and a few Chinese tourist agencies were among the most popular. People even waited in a line to get a free souvenir, such as Chinese zodiac bookmarks and panda calendars. Cynthia Chang, who received a bookmark, says she had always wanted to visit her father's hometown in East China's Jiangsu province. As a second-generation Chinese-American, she says what attracted her the most was China's history and culture, as well as the food.